The 2014 season was upon us, although with the car unfinished, we were left scrambling to get a backup car ready for the event. 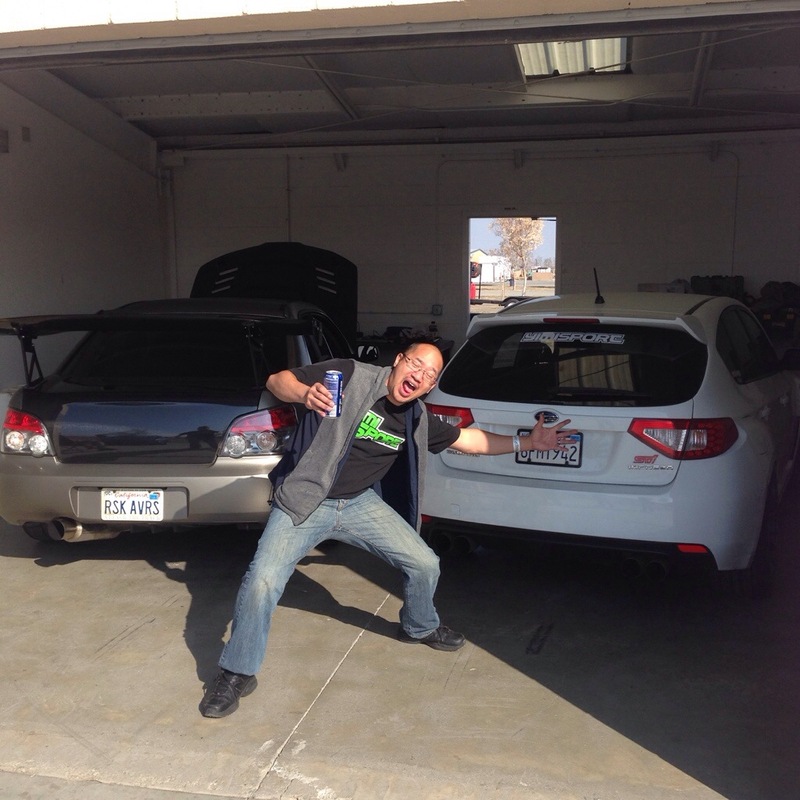 Paul Leung was gracious enough to allow me to track his daily driver in the opener, which happens to be a 2008 Subaru STI hatchback. This car has simple mods including KW V3 comfort coilovers, Whiteline swaybar set, Borg Warner EFR7163 turbo, Aeromotive Fuel Regulator and some other bushings from Whiteline (all comfort). Although he has an upgraded turbo, the block is completely stock and has never been opened. But, we did have to put a new (well not exactly new it was my clutch from last year) onto his car as the stock STI clutch was starting to slip. 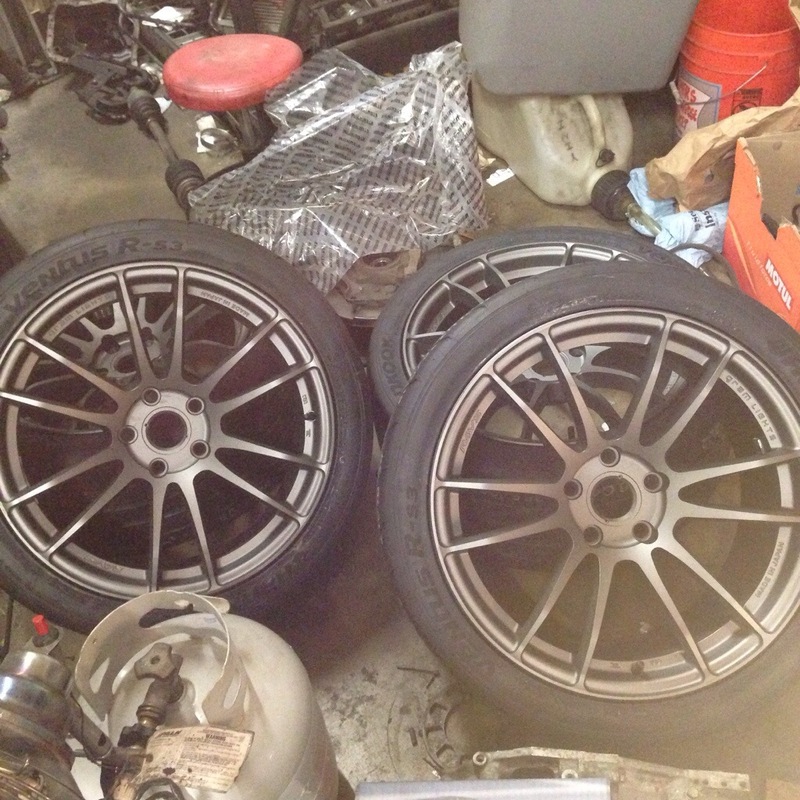 With that complete, we added my Rays 57xtreme wheels and Hankook RS3s to the car to help with a little grip as well as an alignment and corner balance from Ken Kasitz of Koherent Chassis Workz. Here is some footage of 3rd place Finisher in Modified AWD Rob Campbell in his 2006 Subaru STI. With our preparations complete, we snuck in a solid 3 hours of sleep and headed to Buttonwillow, where Saturday practice was in full force showing great signs of Time Attack’s true return. I took to the track and started by scrubbing in the new tires and pulled into the hot pit to get some tire reading, but then the car started to overheat. I pulled it into the garage and let Paul start the evaluation and not long after that it was decided that the headgasket was in bad condition, so we turned the boost down and hoped for the best. Then we attempted another session but due to a black flag situation I was unable to complete a hotlap before the car started to overheat again leaving us with no hotlaps completed on Saturday and no real idea of a time the car could do for Sunday. We woke up Sunday with hopes to accomplish one hotlap and just walk away from the event limping, but with a new gridding situation from Redline Time Attack (gridding purely by time, not class) you had to register a qualifying time before you could run in the time attack so we had to run 2 hot laps (seems easier said than done). So I went out into the practice session and on my one hot lap I accomplished a 2:04, which I wouldn’t really even call that a hotlap but we just needed a time on the books. So, Paul burped the car’s cooling system and we waited for the time attack session. 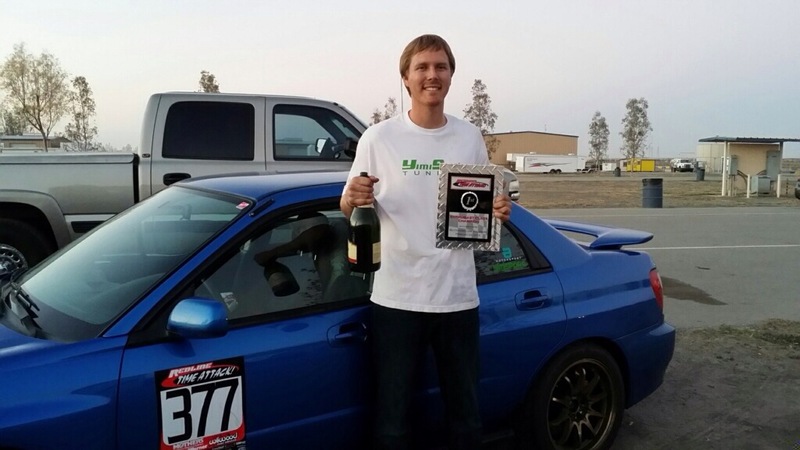 In the meantime, we celebrated Ken running a 1:59 for his qualifying lap in his enthusiast class Awd Subaru. Knowing I would only get one lap from the car, I just had to put the pedal down as well as make sure it didn’t pop out of gear and that I did running a 2:00.4 a time good enough for 3rd place in Awd Street Class. Now, we learned a little something about the car after that lap that could of netted us around 2 seconds. A huge thanks go to Paul for letting me beat his car up at the track and to Ken for setting up the suspension to make the car handle great for the truly comfortable street car that it is. Also thank you to Whiteline for getting some much needed bushings in so the car could even get on track. 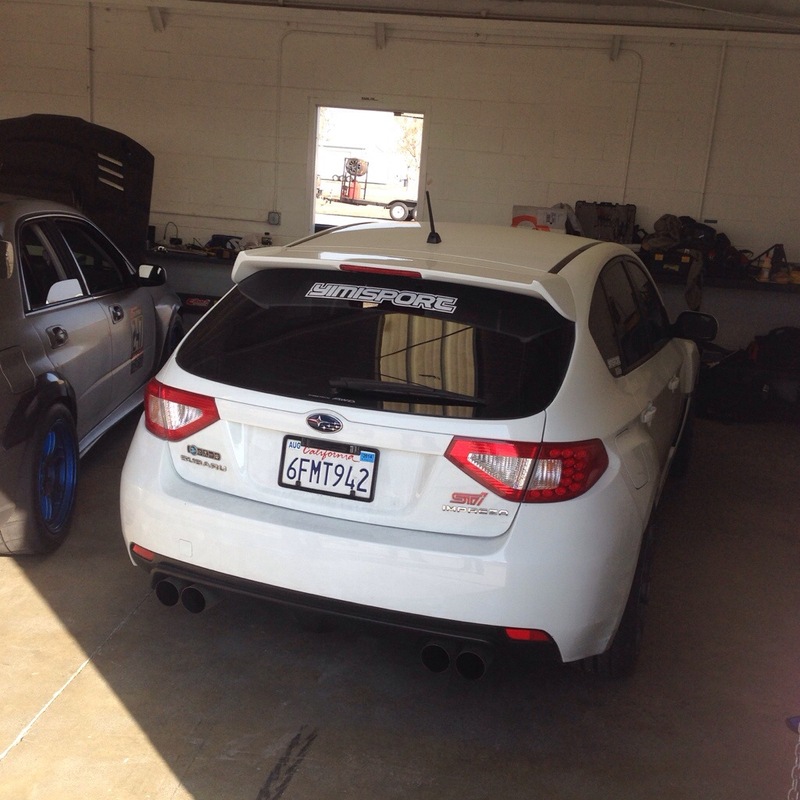 This entry was posted in 2014 Redline Time Attack and tagged #1, 2014, attack, buttonwillow, Jager, racing, redline, round, time, tuning, yimi, yimisport. Bookmark the permalink.